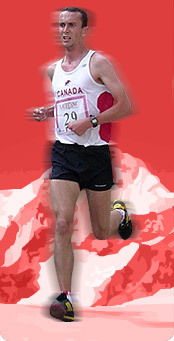 Registration is now open for the 2011 Canmore Challenge held in conjunction with the Canadian Mountain Running Championships. The race will be held on July 9th, 2011 at the Canmore Nordic Centre in Canmore, Alberta. The Canadian Mountain Running Championships will feature Canada's top mountain runners competing for spots on Canada's national team. The Canmore Challenge will consist of three events, the 4km Hill Climber, the 8km Mountain Mania, and the 12km Canmore Challenge. The Canmore Challenge is a unique event that has something for runners of all ages and abilities. The course delivers breathtaking scenery, great up and down terrain and an exhilarating challenge. If you are looking for a fun and competitive event, the Canmore Challenge is the race to run. Distances of 12km, 8km and 4km will be offered, as well as a 1km fun run for kids 12 and under. Note: Runners who wish to be considered for team selection to the World Mountain Running Championships and Commonwealth Championships must be members of CTMRA and their local Athletics Canada branch prior to the championships.